CLOSEOUTS. These C.A.M.P. axion light gloves offer protective leather palms and stretchy, breathable backing for handling rope, working a shovel, or any other outdoor task you need done. 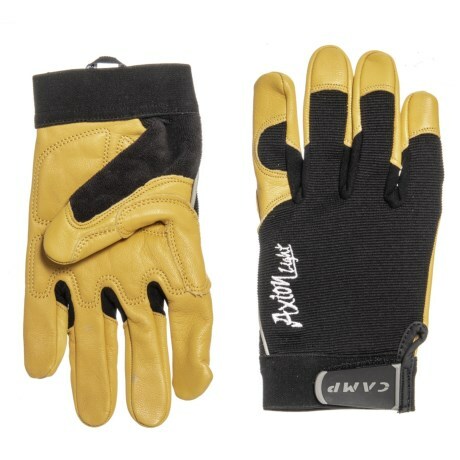 Available Colors: BLACK/YELLOW. Sizes: L, M, S, XL, 2XL.